Controlled chaos isn’t actually a thing; it’s just a term we use for the other side of life, the kaleidoscopic lens through which a special few see the world. Society is governed by rules; we are born into pre-established ecosystems with pre-established guidelines for behavior, told to obey and lead a certain lifestyle. Off we go, stopping every so often to question the nature of our realities and the best uses of our time, but otherwise remaining relatively docile in our comfortable acquiescence. Not Sea Fuzz. For Ben Heckler and his Portland, Oregon-based indie rock group, there are no boundaries besides the ones we set by ourselves, for ourselves. Limitless potential for the mind, eyes, and ears is waiting to be unlocked and embraced. If seeing is believing, then Sea Fuzz’s visually stimulating new music video “Sun Gazing” (Greg Reitman) offers an hypnotic taste of controlled chaos: The other side of life. Atwood Magazine is proud to be premiering “Sun Gazing,” the first single/video from Sea Fuzz’s upcoming third release, Sky Gazing (independently out Spring 2017). Inspired by Dzogchen (Buddhist) meditation and LSD trips by the ocean, Sea Fuzz is Ben Heckler’s psychedelic-grunge musical diary, an illustrative display of broken barriers that never ceases to impress and always keeps an audience in suspense. Dubbed ocean grunge by some and shoreline shoegaze by others, Sea Fuzz’s enticing blend of psychedelic and fuzzy surf-rock-pop-punk is a unique and inviting source of constant inspiration. Don’t ask us to define the “realization of selflessness in the mind.” Words are not meant to describe such a phenomenon, but perhaps visual representations such as Sea Fuzz’s music video may allow one to grasp some roots. 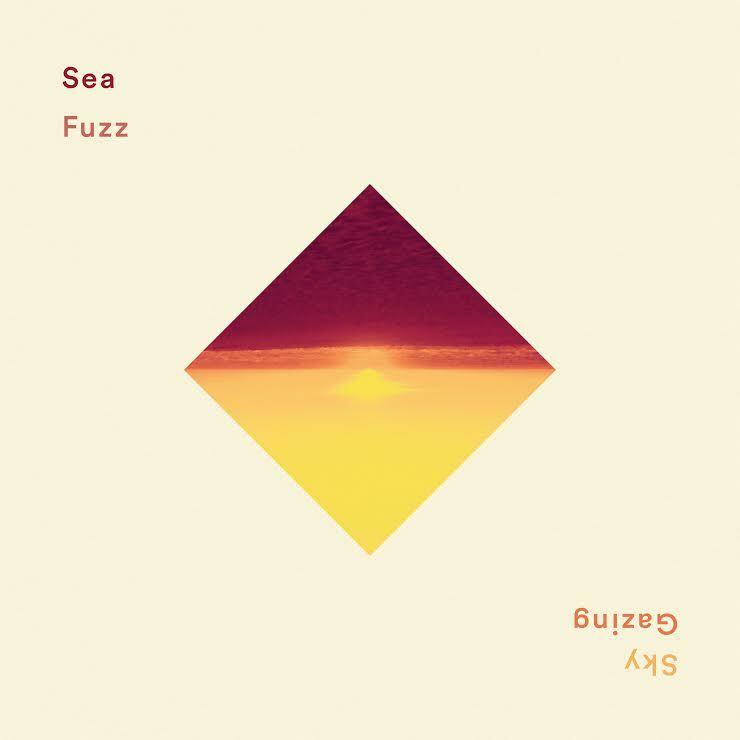 Sea Fuzz’s lush, spiraling melodies and rich tones beg you to turn off your squabbling surface and turn inward, if only for a moment. Yet at over five minutes in length, it does take considerable and voluntary self-control to turn off the constant, cascading bombardment of the outside world and just be. Our social media-crazy, data-driven world disregards introspective thought. We should all strive to be deep thinkers; how can one possibly hope to be, if one does not set aside time to think? Cogito ergo sum. The greater principles of René Descartes’ famous testament may be flawed, but the song remains the same. Needless to say, there is a lot in store for us as the full Sky Gazing experience comes to fruition. “Sun Gazing” is the tip of the proverbial iceberg, a surreal experimental summer of philosophical musings and other concentrated energies. We feel Sea Fuzz’s passion for life, for isolation and immersion. We experience that illusory, out-of-body euphoria you can only get by stepping out of yourself, and into someone else. Lose yourself in Sea Fuzz’s “Sun Gazing,” and stay tuned for more from the innovative ‘ocean grunge’ artist’s forthcoming record Sky Gazing.